Dr. D.Y. Chandrachud, J. – Rule, by consent returnable forthwith. With the consent of Counsel and at their request the Petition is taken up for hearing and final disposal. The issue which arises in these proceedings is whether the Settlement Commission, when it passes an order under section 245D of the Income-tax Act, 1961, can award interest under section 234B even though no interest was chargeable under the original order of assessment. Section 234B(4) provides, among other things, that where as a result of an order of the Settlement Commission under section 245D(4) “the amount on which interest was payable under sub-section (1) or sub-section (3) has been increased or reduced, as the case may be, the interest shall be increased or reduced accordingly.” The contention of the assessee is that unless initially, interest was chargeable under the original assessment order, the question of an increase or reduction would not arise and that a prior levy of interest in the original assessment order is a pre-condition for the levy of interest under section 234B(4). 3. The Settlement Commission, on the issue of interest under section 234B(4), relied on an earlier order passed by it in the Dolat Group of cases and held that interest would be charged only if interest had been initially charged in the original order of assessment. Since no interest had been charged in the original order of assessment, the Settlement Commission held that no interest under section 234B could be levied. 4. The Commissioner of Income-tax filed an application for rectification on 14-10-2009 under section 254. The case for rectification was that in directing that interest under section 234B should not be charged, the Settlement Commission had ignored binding decisions of the Supreme Court in the case of CIT v. Anjum M.H. Ghaswala  252 ITR 1 and in CIT v. Hindustan Bulk Carriers  259 ITR 449. Besides, the Gujarat High Court had decided in the case of Sahitya Mudranalaya v. I.T. Settlement Commission  312 ITR 115 that while passing an order under section 245D(4), the Commission should direct the payment of interest on that portion of the income which forms part of the total income as determined by the Commission and which was not disclosed earlier before the Assessing Officer even if no interest could have become leviable under the original order of assessment. The power of the Commission to rectify a mistake apparent on the record was invoked on the ground that the Commission had ignored binding decisions of the Supreme Court and of the High Court. 5. By an order dated 3-2-2010, the Settlement Commission held that the direction not to charge interest under section 234B was a mistake apparent on the record and had to be rectified under section 254. The Commission held that on 19-3-2008, when it had passed its order, a decision of the Special Bench of the Tribunal (sic) in Sahitya Mudranalaya (P.) Ltd., In re  79 Taxman 463 (ITSC) had taken the view that interest under section 234B should be awarded when the Settlement Commission passes an order under section 234B(4) even if no interest was leviable at the time of the original order of assessment. The Commission noted that the levy of interest under section 234B is mandatory under the judgment of the Supreme Court in Anjum M.H. Ghaswala’s case (supra) and that in a subsequent decision in Hindustan Bulk Carriers’ case (supra) the Supreme Court has held that both the disclosed income before the Income-tax Department and the income disclosed before the Settlement Commission should be clubbed together and the tax and interest would be calculated on the aggregate amount. Moreover, it was held that the Settlement Commission has no power to waive interest. The Settlement Commission held that since the levy of interest was mandatory, it had committed an obvious mistake in directing that interest under section 234B should not be charged and having regard to the judgment of the Tribunal in Sahitya Mudranalaya (P.) Ltd.’s case (supra) which was directly on the issue when it passed its order, the Commission had committed an error apparent by not charging interest. The order was accordingly rectified and the Assessing Officer was directed to levy interest under section 234B on the total income determined by the order under section 245D(4) from the first day of April of the relevant assessment year until the date of the order under section 245D(4). 6. On behalf of the assessee, it has been urged that (i) under section 254, the power of rectification can be exercised only with a view to rectifying a mistake apparent from the record. The finding of the Commission in its original order dated March 19, 2008, directing the Assessing Officer not to charge interest under section 234B(4) was not erroneous and in any event should not be considered to be a mistake apparent from the record which could be rectified; (ii) On a plain reading of section 234B(4) it is only in a case where, as a result of the order passed by the Commission, the amount of interest payable under section 234B(1) or section 234B(3) has been increased or reduced, that interest under the section can be reduced or increased. Accordingly, unless interest was initially chargeable under the original order of assessment, a question of increase or reduction would not arise. Hence, the prior levy of interest in the original order of assessment is a pre-condition for a levy of additional interest under section 234B(4); (iii) In Anjum M.H. Ghaswala’s case (supra) the issue before the Supreme Court was whether the Commission has the power to reduce or waive interest chargeable under sections 234A, 234B and 234C. The Supreme Court held that the levy of interest under section 234B was mandatory and the Commission did not have the power to waive or reduce interest in an order under section 245D(4). This decision is not an authority for the proposition that the Commission is empowered to charge interest for the first time under section 234B(4) in an order under section 245D(1) even if it has not been charged in the original order of assessment; (iv) The decision of the Supreme Court in Hindustan Bulk Carrier’s case (supra) deals with the question of what is the date from which interest is chargeable under the Act and not whether the Settlement Commission has power to levy interest for the first time under section 245D(4). Moreover, in Brij Lal v. CIT  279 ITR 432 (SC) the decision in Anjum M.H. Ghaswala’s case (supra) has been referred for consideration to a Larger Bench. 7. On the other hand, on behalf of the Revenue, Counsel submitted that (i) The power of the Settlement Commission to award interest under section 234B(4) is not subject to the condition that interest should have been leviable under the original order of assessment; (ii) The observations of the Supreme Court in Anjum M.H. Ghaswala’s case (supra) and Hindustan Bulk Carrier’s case (supra) would establish that interest is chargeable under section 234B(4) for the first time, under an order of the Settlement Commission under section 245D(4); (iii) The Settlement Commission was under section 254 duty bound to rectify a mistake which had occurred, which was apparent from the record, since it is a fundamental principle that no party appearing before the Tribunal, be it an assessee or the Department, should suffer on account of any mistake committed by the Tribunal. In ignoring the binding judgment of the Tribunal in Sahitya Mudranalaya (P.) Ltd.’s case (supra), which held the field when the Settlement Commission had passed an order originally on 19-3-2008, the Settlement Commission committed an error apparent on the record which it could rectify under section 254. (v )any tax credit allowed to be set off in accordance with the provisions of section 115JAA. (ii)thereafter, interest shall be calculated at the rate aforesaid on the amount by which the tax so paid together with the advance tax paid falls short of the assessed tax. (3) Where, as a result of an order of reassessment or recomputation under section 147 or section 153A, the amount on which interest was payable under sub-section (1) is increased, the assessee shall be liable to pay simple interest at the rate of one per cent for every month or part of a month comprised in the period commencing on the date following the date of determination of total income under sub-section (1) of section 143 and where a regular assessment is made as is referred to in sub-section (1) following the date of such regular assessment and ending on the date of the reassessment or recomputation under section 147 or section 153A, on the amount by which the tax on the total income determined on the basis of the reassessment or recomputation exceeds the tax on the total income determined under sub-section (1) of section 143 or on the basis of the regular assessment aforesaid. (ii )in a case where the interest is reduced, the excess interest paid, if any, shall be refunded. 9. Section 234B provides for the payment of interest on default in the payment of advance tax. The provision is attracted where in any financial year: (i) An assessee who is liable to pay advance tax has failed to do so; or (ii) Where the advance tax paid by the assessee is less than ninety per cent of the assessed tax. The assessee in such a case is liable to pay interest as specified in the section from the first day of April next following the financial year to the date of determination of the total income under section 143(1) and, where a regular assessment is made, to the date of the regular assessment. Interest is payable on “an amount equal to the assessed tax or, as the case may be, on the amount by which the advance tax paid as aforesaid falls short of the assessed tax”. Sub-section (4) of section 234B applies in a situation where, as a result of orders passed under section 154, 155, 250, 254, 260, 262, 263 or 264 or an order of the Settlement Commission under section 245D(4), “the amount on which the interest was payable under sub-section (1) or (3) has been increased or reduced, as the case may be.” Thereupon, the provision is that interest shall be increased or reduced accordingly. In a case where the interest is increased, the Assessing Officer has to serve on the assessee a notice of demand whereas if the interest is reduced, the excess interest has to be refunded. 10. In the present case, the issue before the Court arises out of the order of the Settlement Commission under section 245D(4) and the question is as to whether the amount on which interest was payable under sub-section (1) or sub-section (3) has been increased or reduced. 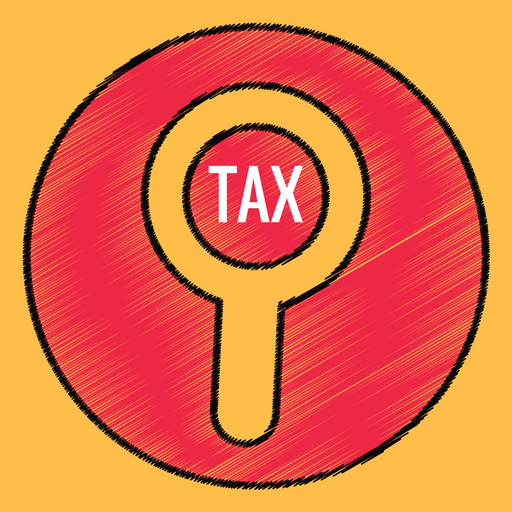 Now, in sub-section (1) of section 234B, interest is payable on an amount equal to the assessed tax (where the assessee who is liable to pay advance tax has failed to pay such tax) or on the amount by which the advance tax paid falls short of the assessed tax. In a situation where the assessee has paid advance tax which is less than ninety per cent of the assessed tax, interest is payable on the difference between the assessed tax and the advance tax paid. Sub-section (4) of section 234B refers to a situation where “the amount on which interest was payable under sub-section (1) or sub-section (3) has been increased or reduced” inter alia as a result of an order of the Settlement Commission. The amount which is referred to in sub-section (4), is the amount on which interest is payable under sub-section (1) or sub-section (3). That amount is the amount by which the advance tax paid falls short of the assessed tax. When sub-section (4) of section 234B refers to “the amount on which interest was payable under sub-section (1) or sub-section (3)”, that amount is the difference between the advance tax paid and the assessed tax. The words “on which interest was payable” have been used in a descriptive sense to identify the amount specified in sub-section (1), or as the case may be, in sub-section (3). In sub-section (1), the amount is the difference between the advance tax and the assessed tax. These words do not impose a condition that for interest to be attracted under section 234B(4) interest should actually have been levied under the original order of assessment under sub-section (1). The effect of the order of the Settlement Commission in this case is to enhance the assessed income. The amount by which the advance tax paid by the assessee falls short of the assessed tax has been increased as a result of the order passed by the Settlement Commission. This is the amount on which interest was payable under sub-section (1) for if the assessee were to make a correct disclosure of his income in the first instance, the assessee would have been liable to pay interest under sub-section (1) on the shortfall. The words, “the interest shall be increased”, would contemplate both a situation where interest had been levied on the assessee in the first instance, and a situation where no interest has been levied on the assessee in the original order of assessment. There is no reason or justification for the Court on the basis of the plain language used in sub-section (4) to exclude the latter category of cases as contended on behalf of the assessee from the liability to pay interest. In accepting the submission of the assessee, the Court would be adopting an interpretation which would be contrary both to the language used by the Legislature and the intent that is embodied in sub-section (4). “A perusal of this sub-section which refers to sub-section (4) of section 245D mandates that if by virtue of an order passed under section 245D, the amount of tax on which interest was payable under sub-section (1) or sub-section (3) of this section has been increased or reduced, as the case may be, the interest shall be increased or reduced accordingly. This section is an indicator of the fact that so far as the interest falling due by virtue of default in furnishing a return of income, default in payment of advance tax or interest for deferment of advance tax are concerned, Part F of Chapter XVII has been obligated with the duty of levy of interest, as also to make the necessary changes in the payment of interest dependent on the change that may be occur consequent to the order of settlement under section 245D(4). “There is another way of looking at the issue. Section 234B(3) provides differently for regular assessment and reassessment. In a reassessment, ordinarily income assessed is more than what was determined originally. If two different periods are provided to meet such a situation, it is inconceivable that the Legislature intended to totally give a go by to interest on the income which for the first time is disclosed before the Commission. By analogy and harmony, the period has to be till the date of the Commission’s order. It is true, as contended by Counsel appearing on behalf of the assessee, that the issue which arose in Anjum M.H. Ghaswala’s case (supra) was whether the Settlement Commission while passing an order under section 245D(4) has the power to waive or reduce interest and the question was answered in the negative. Similarly, in Hindustan Bulk Carriers’ case (supra) the specific issue that came up before the Supreme Court was the date from which interest is chargeable under the Act. The judgments of the Supreme Court, however, cannot be distinguished purely on that basis. Insofar as the High Court is concerned, the observations of the Supreme Court made while interpreting the provisions of section 234B are binding. 12. The fact that there is a reference to the Constitution Bench in Brij Lal’s case (supra) on the question as to whether sections 234A, 234B and 234C are applicable to proceedings before the Settlement Commission and whether the Settlement Commission can reopen concluded proceedings by recourse to section 254 so as to levy interest under these sections though it was not done in the original proceedings, will not detract from the binding force of the judgment in Anjum M.H. Ghaswala’s case (supra) so long as it continues to hold the field. 15. Counsel appearing on behalf of the assessee relied on the judgment of the Delhi High Court in Modi Cement Ltd. v. Union of India  193 ITR 91. In that case, section 143(1A)(a) came up for consideration under which it had been provided that where, in the case of any person, the total income, as a result of the adjustments made under the first proviso to clause (a) of sub-section (1) exceeds the total income declared in the return by any amount, the Assessing Officer shall further increase the amount of tax payable under sub-section (1) by an additional income-tax calculated as specified on such excess amount. In the context of the specific words which were used in section 143(1A)(a), the Delhi High Court held that where, after the adjustments under section 143(1) are carried out, the resultant figure is still a loss, section 143(1A) would not apply since no tax is payable if the resultant figure is a loss. These observations are made in the context of the specific words used in the section. 16. We have dealt with the merits of the challenge to the order of the Settlement Commission dated 3-2-2010. But, it must be noted that it was urged on behalf of the assessee that the Settlement Commission ought not to have exercised the power under section 254 on the ground that the original order, which had followed an earlier view of the Commission in the Dolat Group of cases could not be said to suffer from an error apparent on the record. This submission cannot be accepted for the simple reason that on the date on which the Settlement Commission declined to order interest, namely, on 19-3-2008, there was a binding judgment of the Special Bench of the Tribunal in the case of Sahitya Mudranalaya (P.) Ltd. (supra). As a matter of fact, the judgment of the Gujarat High Court confirming the judgment of the Tribunal noted earlier was delivered on 3-3-2008 which was also prior to the original order of the Settlement Commission. The Settlement Commission, therefore, committed an error apparent by not following the decision of the Special Bench of the Tribunal which was confirmed by the Gujarat High Court. These judgments, as we have noted earlier, were also consistent with the law laid down by the Supreme Court in Anjum M.H. Ghaswala’s case (supra) and Hindustan Bulk Carriers’ case (supra). The Settlement Commission was, therefore, justified in allowing the Miscellaneous Application under section 154 and setting right the error apparent which occurred in the original order. In Honda Siel Power Products Ltd. v. CIT 295 ITR 466 , the Supreme Court has emphasized that the basic purpose underlying section 254 is based on the fundamental principle that no party appearing before the Tribunal, be it an assessee or the Department, should suffer on account of any mistake committed by the Tribunal. In the circumstances, the Settlement Commission, was therefore, justified in exercising the power under section 254 and in allowing the miscellaneous application. 17. For these reasons, we are of the view that there is no merit in the Writ Petition. The Petition shall stand dismissed. No order as to costs. This entry was posted in Sec. 234B, Sec. 245D and tagged 332 ITR, Bombay High Court, charging of interest, In favour of Revenue, settlement commission.